II BOND Flyash is sourced from state of art thermal power plants – quality tested and packed as per requirements. 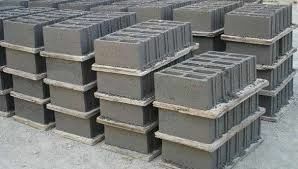 We are supplying quality assured classified and non-classified flyash in accordance to the international standards like ASTM C 618, BS En 450 Category N and BS 3892 Part1. Chemically Flyash is a pozzolane, when mixed with lime, it combines to form cementetious compound. Concrete containing Flyash becomes stronger, more durable and more resistant to chemical attack. Mechanically flyash particles are small, they effectively fill voids. Because of its hardness and roundness it create “ball bearing” effect that allows concrete to be produced using less water. Both characteristics contribute to enhanced concrete workability and durability. Flyash use creates significant benefits to our environment. Flyash use conserves natural resources and avoid landfill disposal of ash products. Furthermore Flyash use partially displaces production of other concrete ingredients, resulting in significant energy savings, reduces fast consumption of natural resources and reduction in greenhouse gas emission. SPECIFICATIONS : Specs Will Be Given In PDS And Will Be Provided Only On Request Through E-Mail.